Roscrea Musical Society is getting ready to stage its 79th annual production which this year will be 'My Fair Lady'. 'My Fair Lady' tells the story of pompous phonetics professor 'Henry Higgins' played by Roscrea Musical Society'slong-standingg member and AIMS Award Winner Paul Spencer, who also just recently played 'Captain Smith' in Portlaoise Musical Society's production of 'Titanic'. Higgins who is so sure of his abilities that he accepts a bet from an old colleague 'Colonel Pickering' played by John Lynch from Clara, to transform a Cockney working-class girl 'Eliza Doolittle' played by Audrey O'Meara Coakley, a Birr native and another AIMS Award Winner, into a duchess. 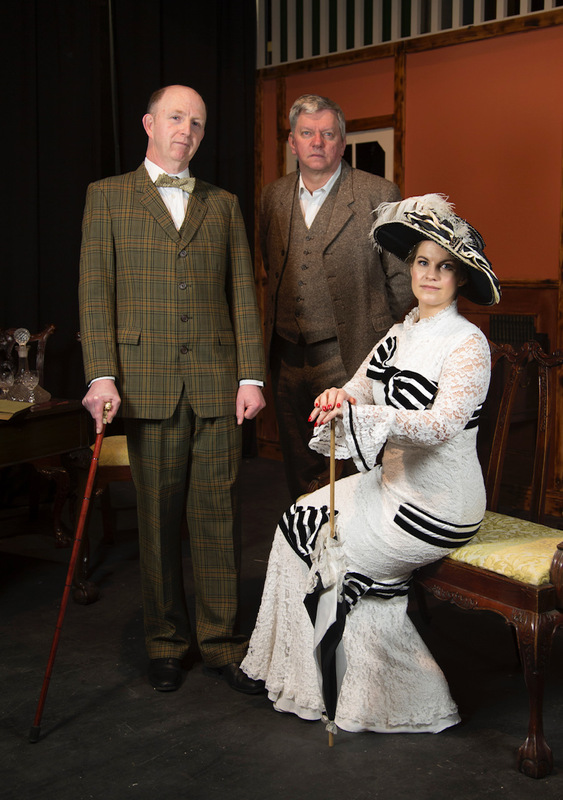 'My Fair Lady' also features a few Laois natives namely Bríd Delaney from Borris-in-Ossory who is playing 'Mrs Pearce' and Tim Keane from Portlaoise. MORE BELOW PHOTO. This beloved all-time favourite features some of the greatest show tunes including 'I'm Getting Married in the Morning', 'I Could Have Danced all Night' and many more. The show is staged in Abbey Hall, Roscrea from Saturday, April 27 until Saturday, May 4 at 8pm nightly excluding Sunday, April 28. So come along and take a step back in time with Roscrea Musical Society to visit London Town.